Please click on the pics for a full sized view and use the 'back' button to return here. Norfolk Airlines. This jet is owned by the people of Norfolk and flies from Sydney and Brisbane. 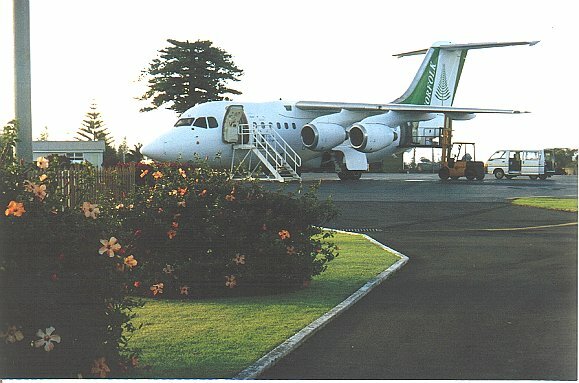 Other airlines also service the Island. 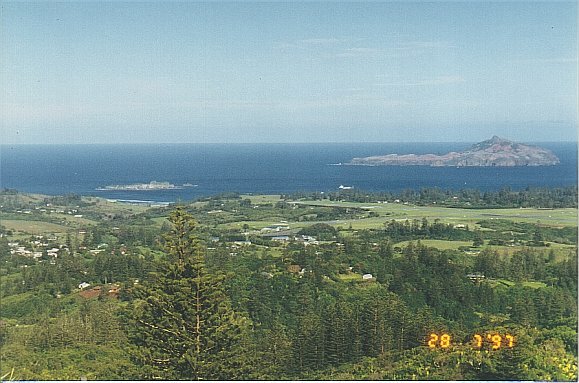 This is a view from Mount Pitt showing the airport in the background as well as Philip Island. 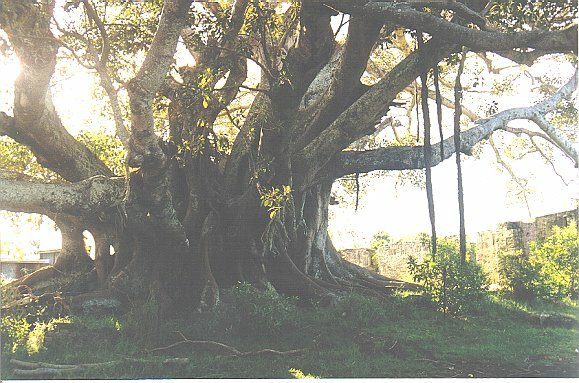 This little island has been denuded of growth by rabbits which have since been eradicated. 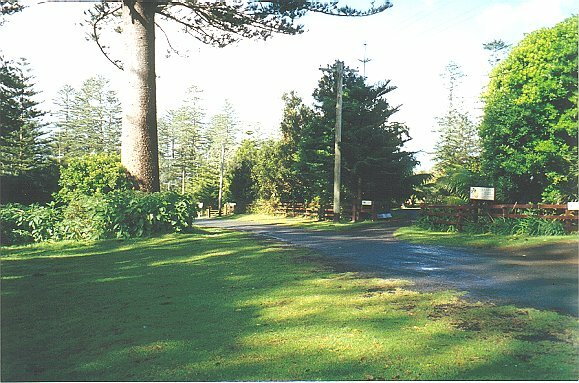 The road at the front of our cottage. 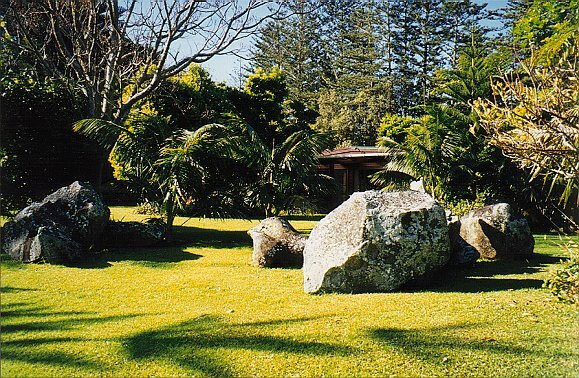 It is a dead end a short distance further on so there is little or no traffic to disturb the peaceful atmosphere. 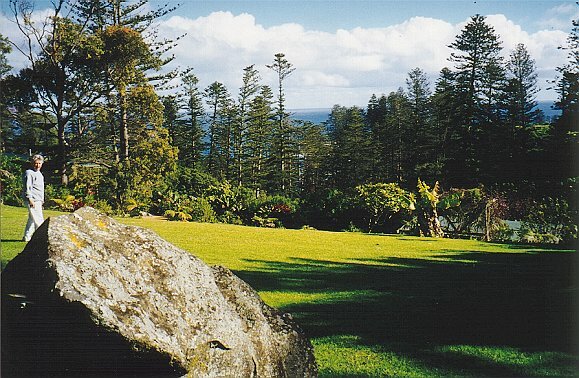 The cottage property consists of 3 cottages. The 3 bedroom one we stayed in. 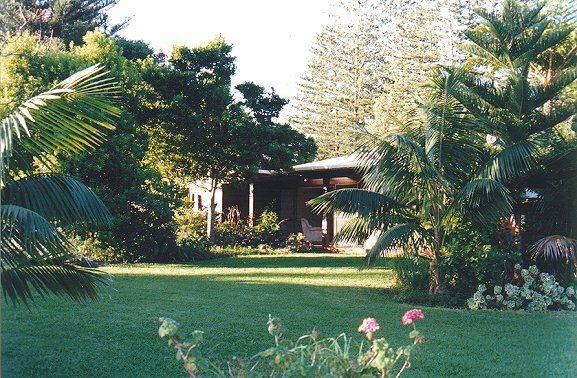 2 semi- detached 2 bedroomers and the Kentia Garden cottage. This is a shot of the rear of the smaller cottages with the Garden Cottage in the background. 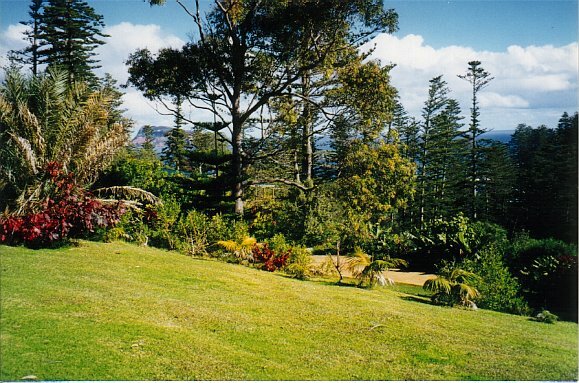 Another shot of the rear garden from our back verandah. From our backyard towards the 2x3 bedroom cottages. 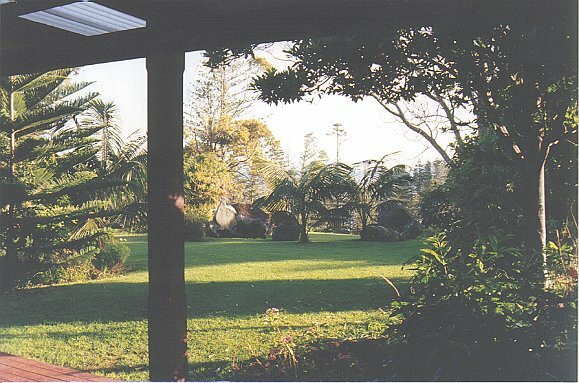 Another view of the backyard with Pam having a stroll. Our little rent-a- car which is included in the tariff. 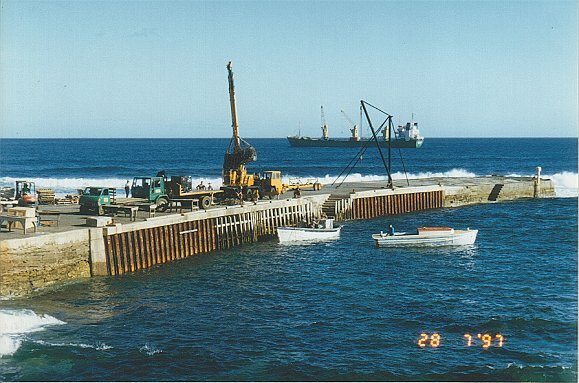 This is the unloading jetty on the North side of the island and is used when a Southerly is blowing. 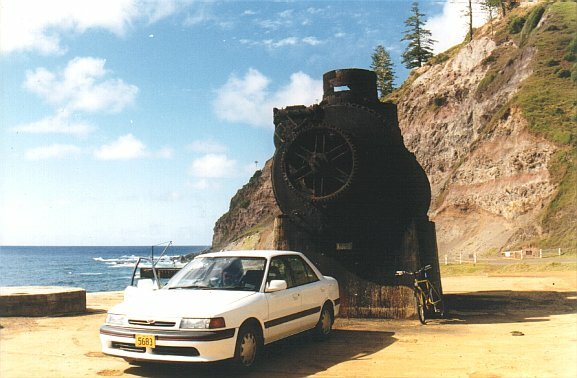 The thing behind the car is an old steam engine used to drive some sort of winch. The rear of our cottage. There are very few brick buildings on Norfolk as all materials have to brought in by ship and lightered ashore. Mot of the buildings are weatherboard and fibro with corrugated iron roofs. 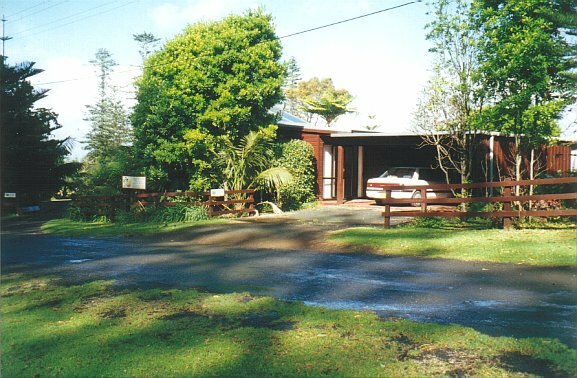 The front of the cottage showing front door and car-port. There is also a garage at the rear of the car-port which I used as a radio shack. My radio shack complete with Kenwood TS50S, power supply and a tiny MFJ antenna tuner. 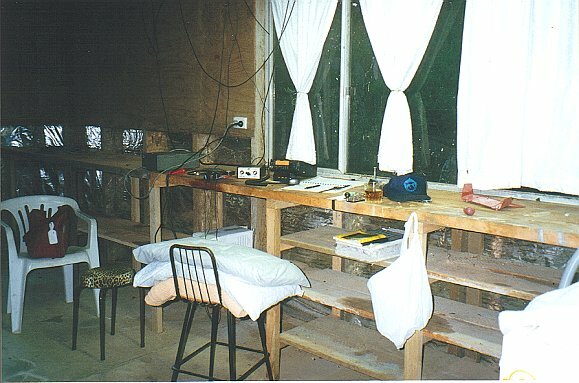 Radio conditions here are amazing and require no more than 100 watts. Reception is also excellent with little or no noise. Jim Smith lives just up the road and has a very impressive antenna farm. I enjoyed meeting him while we were there. 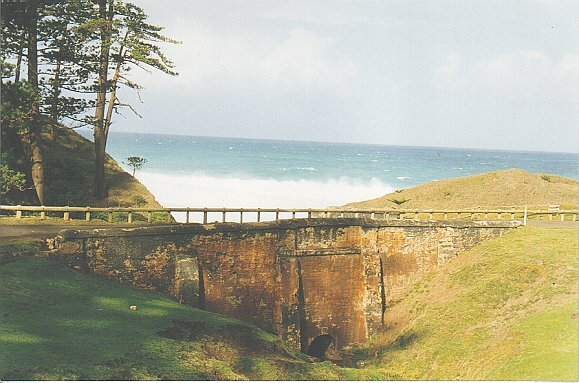 The famous "Bloody Bridge" where the tyrannical overseer was killed and entombed in the bridge during construction. His blood oozed from the stonework and the crime was discovered to the detriment of the workers (convicts). Most of them welcomed execution as the conditions were appalling. 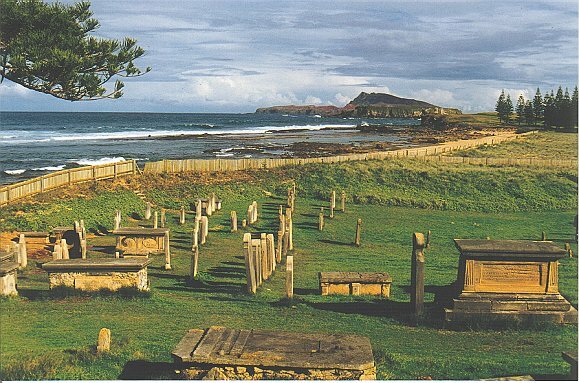 The cemetery where convicts and free men were interred. One can spend hours reading the quaint inscriptions on the headstones. 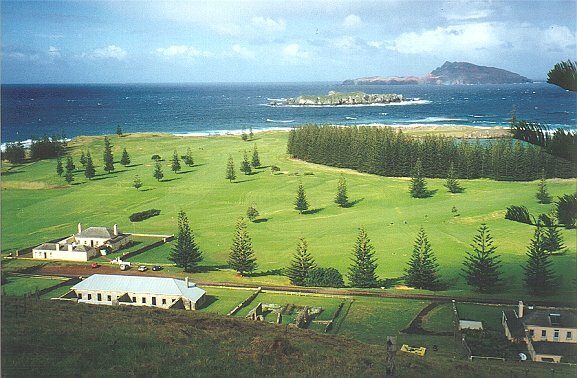 The cemetery is still used and is situated just near the golf course at Kingston. 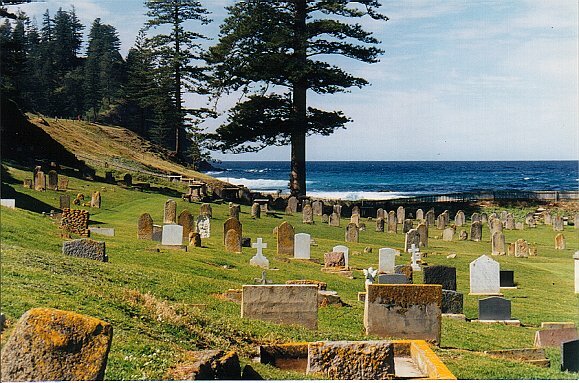 Another shot of the cemetery, a wonderful final resting place. Norfolk's answer to the Irish 'Cliffs of Mohr'. 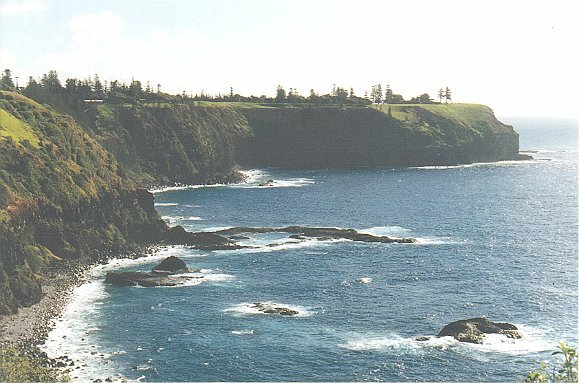 The whole island is surrounded by these cliffs except for Kingston and Emily Bay, the only swimming beach. 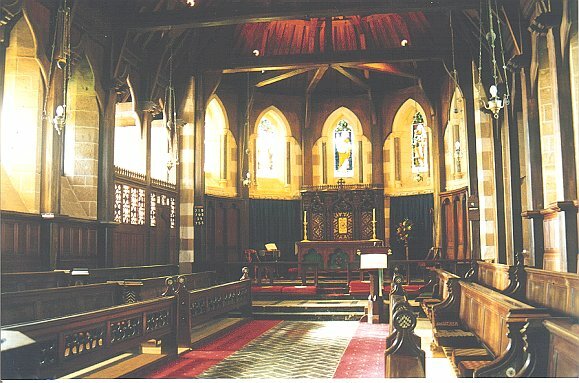 St Barnabas Church built by the missionaries. 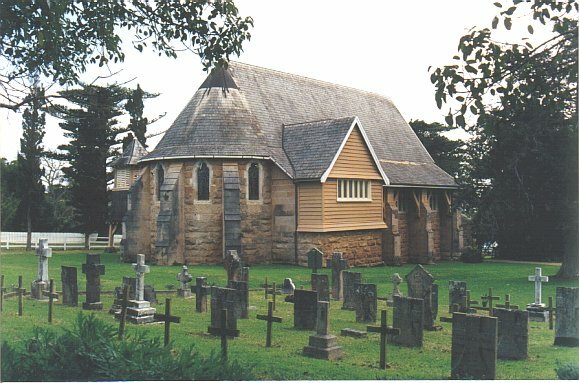 A beautiful old English style building also with an old cemetery. 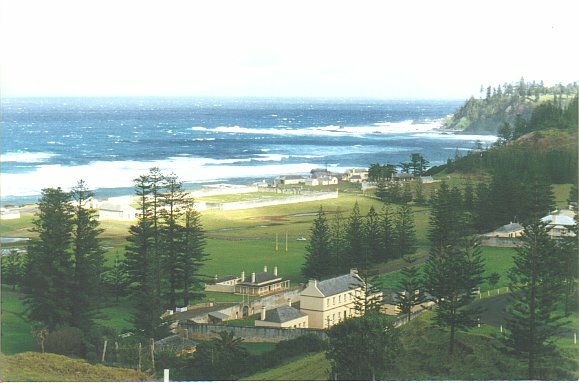 A view of the golf course with some of the old Administrative buildings at Kingston. Lightering supplies ashore. This is well worth watching. There are buses and even a Rolls Royce on the island which have been brought ashore this way by lashing several lighters together. 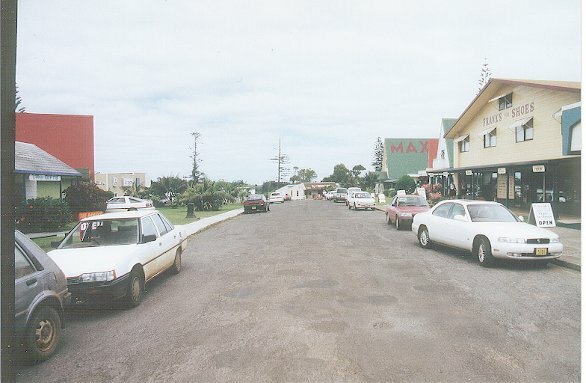 Burnt Pine, the central business district. Duty-free shopping paradise. 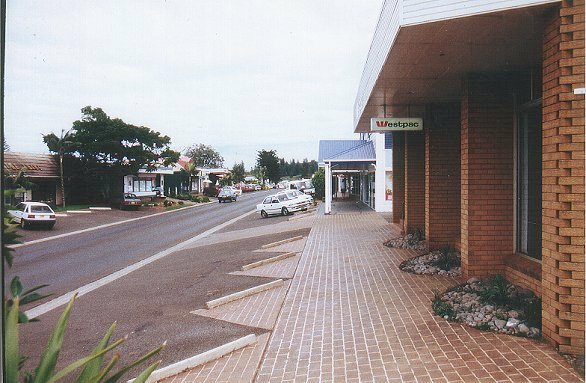 Burnt Pine shopping center. This and the above photo courtesy of Bill K6KM.